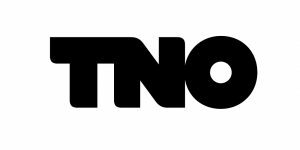 TNO connects people and knowledge to create innovations that boost the competitive strength of industry and the well-being of society in a sustainable way. This is our mission and it is what drives us, the over 3,200 professionals at TNO, in our work every day. With your background in Aerospace Engineering, you can work at TNO on pioneering themes of a strongly multidisciplinary nature. In the projects you can combine your own knowledge with that of other experts to achieve the best results. But what makes the knowledge you acquired during your studies so unique and valuable for TNO? Aerospace Engineering graduates have in-depth technical understanding in a broad range of fields such as materials science, composites, aerodynamics, structural analysis, space technology and transportation systems. Thanks to their experience in multidisciplinary projects, in which good communication with other experts and team members is vital, they have the ability to translate (fundamental) scientific knowledge into innovative concepts and solutions to meet the challenges in our society. At TNO you will work at the interface between the academic world and the business sector. You will participate in projects where scientific knowledge is translated directly into applications in business, government and other organizations. In this way you will contribute to innovation and development in the Netherlands and to solutions for various societal challenges. You will be challenged to provide innovative solutions and to acquire knowledge in a wide range of fields. At TNO you have the freedom to determine the direction of projects yourself and you can respond directly to opportunities. So you have plenty of influence over your own development. And this is reinforced by the coaching and training that you yourself select and put together. This means that you are constantly developing your knowledge and expertise and are fully in control of your own career. Discover Your Space is a networking event for everyone interested in an internship or starting a career in the space industry, organised by the Space Department of the VSV ‘Leonardo da Vinci’ and the Netherlands Space Society NVR.